February 6 I’m running an introduction to MLA Commons for the UMD English department. We’re doing a BitCurator panel on ethics and digital forensics at the Personal Digital Archiving conference February 21-22. I’ll be giving a talk with Wendy Chun at NYU on March 1, both of us speaking under the general rubric of Media Archaeology. I’ll also be doing a workshop the afternoon before the event called “8-Bit DH: Locating the Literary History of Word Processing.” On March 21, I’ll be at McGill University to share current work from Track Changes for their annual Digital Humanities Lecture; something is also shaping up at Concordia the day beforehand, will add details when I have them. On April 5 I’ll be at Library of Congress for their Electronic Literature Showcase. On April 6 I’m one of the plenary speakers for the UMD Graduate English Organization’s conference on “(Dis)Realities and the Literary and Cultural Imagination” (my talk: “What Was Digital Humanities?” On April 25, I’ll be at Yale for the History of the Book Program, and will stay on to speak at the Beinecke’s conference on Beyond the Text: Literary Archives in the 21st Century that weekend. 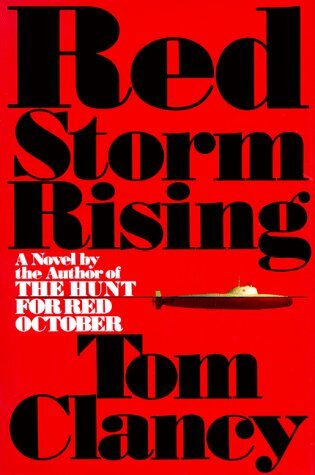 Techno-thriller genre fiction may seem like an odd place to look for rules-based textual experimentation, but I’ve just argued that Tom Clancy and Larry Bond’s 1986 cold-war-turned-hot bestseller Red Storm Rising may be the most widely read piece of procedural writing ever. Find out why in “Choreographing the Dance of the Vampires,” which is my contribution to Kari Kraus’s superb Rough Cuts: Media and Design in Process collection just launched on MediaCommons’ The New Everyday. If you’re here because of the link on Quinn DuPont’s AGRIPPA Challenge, you might be interested in “‘No Round Trip’: Two New Primary Sources for AGRIPPA,” which details the recovery of an hour of bootleg footage from the 1992 launch in New York City as well as a bitstream image/emulation of the original software. I’ve created a Tumblr blog for Track Changes to collect some of the media coverage and other developments related to the project. I will also continue to post periodic updates here.